NBC has announced it’s official 2013-14 season today. A musical favorite “The Sing Off” will be returning after a one year break, and “The Celebrity Apprentice”‘s fate remains uncertain. The announcement was made by Robert Greenblatt, Chairman, NBC Entertainment . The schedule also includes other returning reality and game shows along with some new ones. THE SING OFF is returning in the Fall. New alternative series premiering during the 2013-14 season include “The Million Second Quiz” and “American Dream Builders.” Returning to the schedule are “The Biggest Loser” and “The Sing-Off.” “Food Fighters” has been ordered as an unscheduled mid-season show. “The Voice” will kick off its fifth season in September on Mondays (8-10 pm. ET). The current cycle of “The Voice” has been NBC’s most successful reality series. Monday and Tuesday will again dominate with “The Voice,” which will be followed by the highly anticipated new James Spader drama “The Blacklist” going into the 10 p.m. slot on Monday, and “Chicago Fire,” in, to 10 p.m. on Tuesdays to benefit from “The Voice” lead-in that will be at 9 p.m. in the fall. 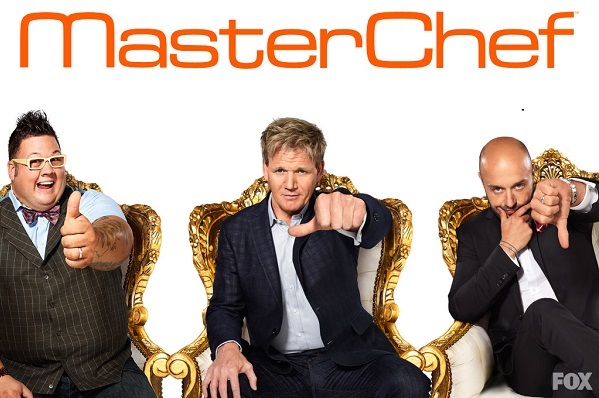 FOX will have Gordan Ramsey food competition shows “Master Chef” and “Hell’s Kitchen” coming back along with a new one called “Junior Master Chef.” Midseasons for “The X Factor Results” and “American Idol Results” will air Wednesdays and Thursdays at 8 pm and 8:30 pm. Returning reality series to CBS include: “Undercover Boss”, “The Amazing Race”, and “Survivor”. Movie star Rebel Wilson (Pitch Perfect, Bridesmaids) will star in a new scripted comedy on ABC called “Big Fun Night” about best friends trying to stay together when one of them gets a big promotion by her law firm. “Shark Tank” returns in the Fall in a 9pm time slot on Fridays. “Dancing with the Stars” will air on Mondays at 9 pm. The CW will have returning model reality competition series “America’s Top Model” which will air at 9pm on Fridays.